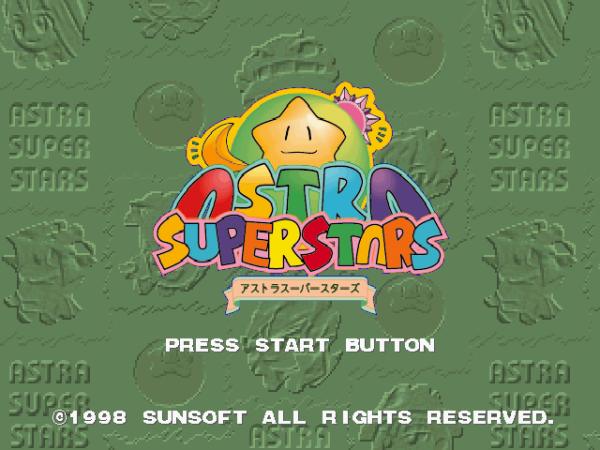 Astra Super Stars is a 1998 2D versus fighting arcade game. 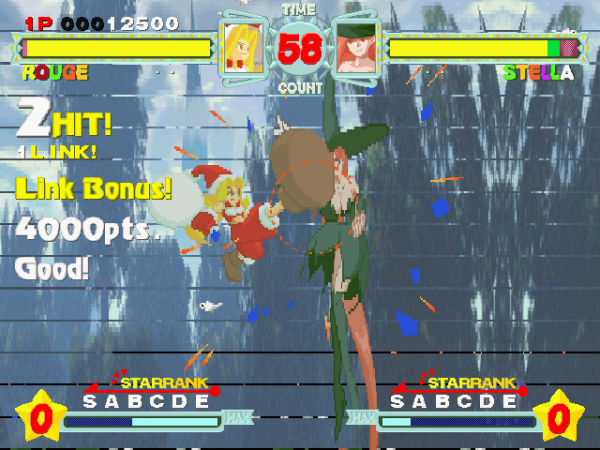 0.9.14 git b45ccc7f97 J Linux Mint Software/OpenGl No Playable, but glitches in the background and around the personnages. 0.9.14 Git (2015/09/03) J Windows 7 OpenGl No Playable, but glitches in the background. 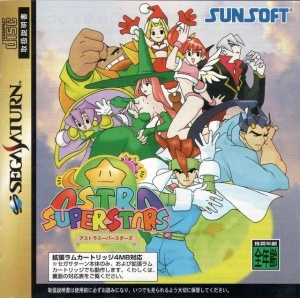 Astra Super Stars on YouTube. This page was last modified on 22 September 2015, at 19:59.